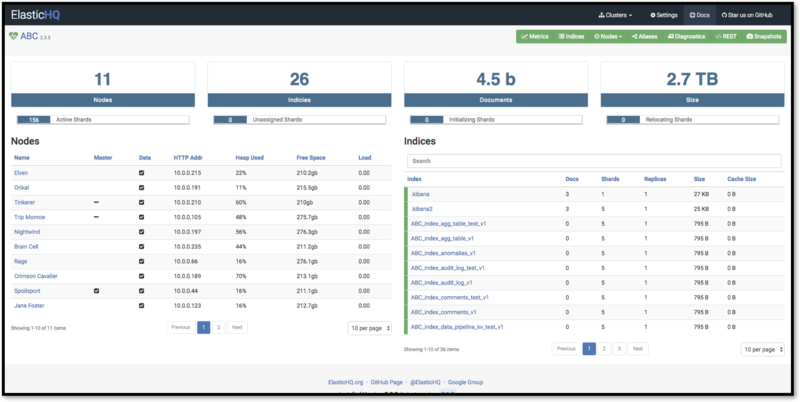 ElasticHQ serves as a monitoring and management platform for Elasticsearch clusters. It is freely available and distributed under the Apache Software License. Works with any version of Elasticsearch since v2.x, including 5.x and 6.x. Can monitor and manage many clusters at the same time. Monitor and manage clusters, nodes, indices, aliases, and shards. One-click access to commonly used Elasticsearch REST endpoints.